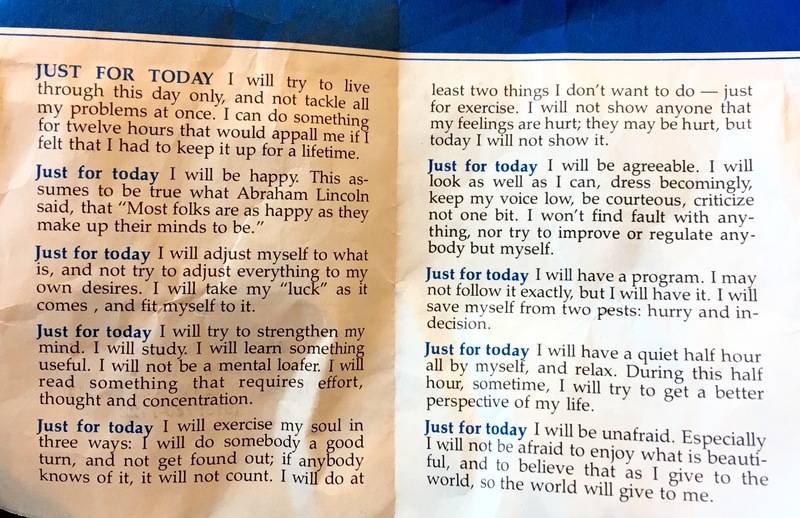 If you haven’t seen it, this little AlAnon pamphlet is an awesome list of suggestions to follow each day. Aside from above, they include living in this day only, staying out of fear, celebrating the beauty all around us, doing good deeds anonymously, not being so sensitive, adjusting ourselves to what is rather than trying to change it all to fit our desires, being happy no matter what, and taking a quiet half hour to ourselves to relax. I’ve never yet had a day where I was able to do them all perfectly, but the more I try and live my life according to their principles, the more ILML!